I got this book as a free PDF from Adobe's web site. It's a relatively brief overview of the syntax of Flex from the point of view of the web developer. Server code examples are in Cold Fusion, but there are only a few of those examples. 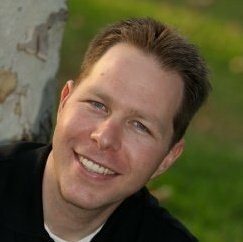 It focuses primarily on the XML-based syntax for binding components together and small snippits of actionscript embedded in those XML blocks. As a beginner Flex programmer, it appears that my job will be to spend most of my time configuring existing components in XML rather than programming in actionscript. As an experienced Java programmer, I know that a lot of my work is similar plumbing between large blocks of framework code. 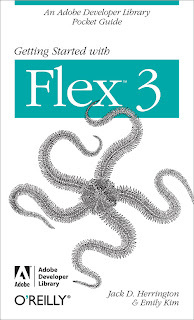 Even though this is an O'Reilly book, it's really more of an advertisement for Flex, something I kind of needed to get interested in the environment. I would only suggest this book for a complete newbie to Flex because it really doesn't cover what a professional engineer needs to build mulit-team projects, test-drive development of that code, or integrate that work with any kind of continuous integration server.